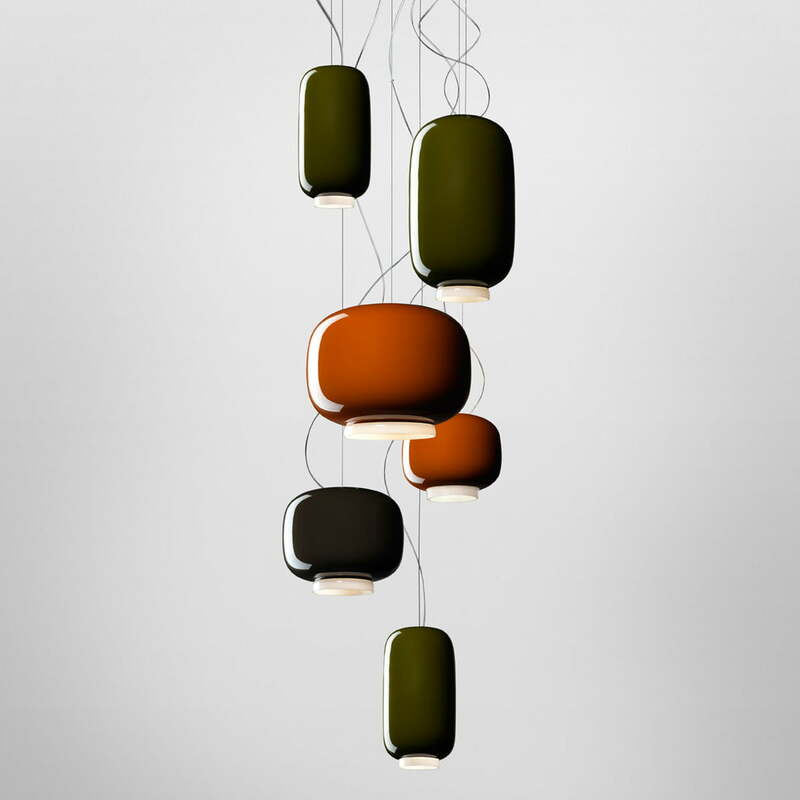 Chouchin is the name of the oriental lanterns made of paper and bamboo, that inspired a contemporary family of lamps combining the prestige of blown glass, the charm of colors, the magic of light and the possibilities to create compositions of different shapes. To create a familiar and at the same time unknown seeming emotion. 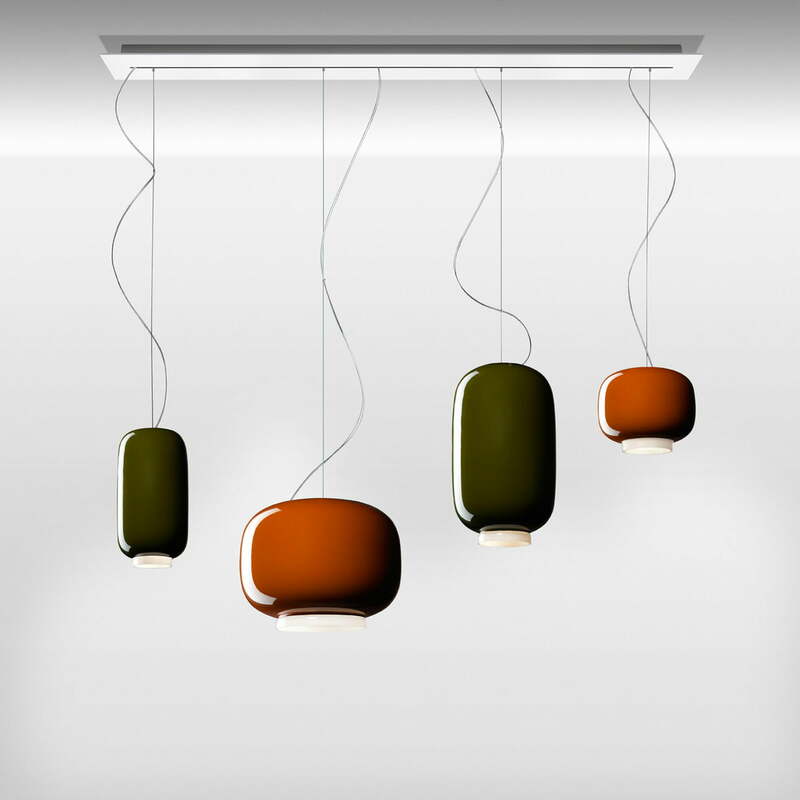 The Chouchin light series was designed by Ioanna Vautrin for Foscarini in 2013. The "mini" version complements the Chouchin project to provide additional possibilities of composition and positioning. 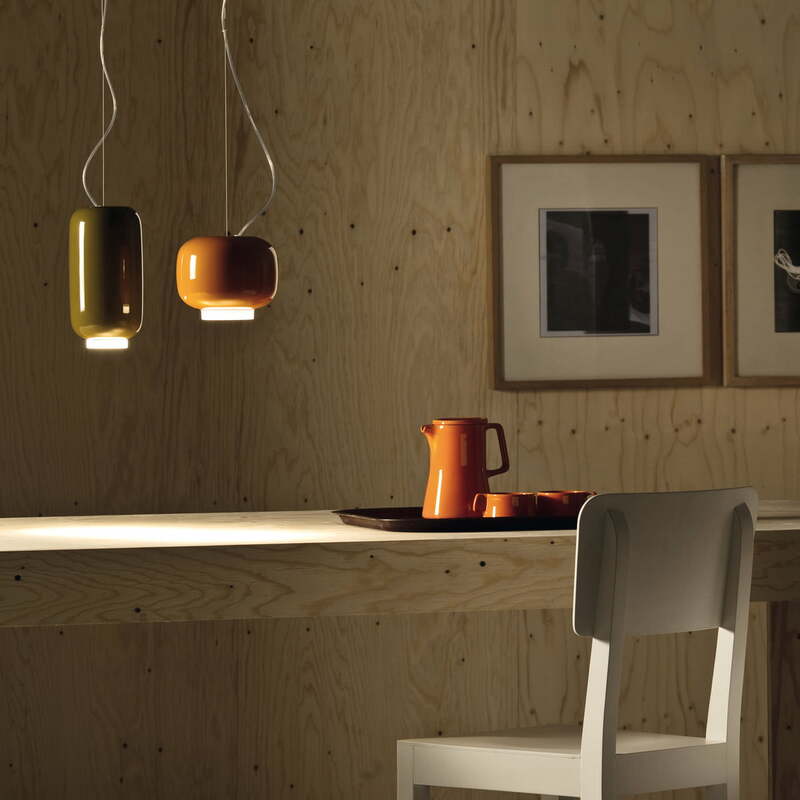 The lampshade is offered in two forms and complementary colors: orange and green. As with the larger version, the lower edge remains white to create a distinctive effect when the lamp is switched off and a luminous frame when the lamp is switched on. 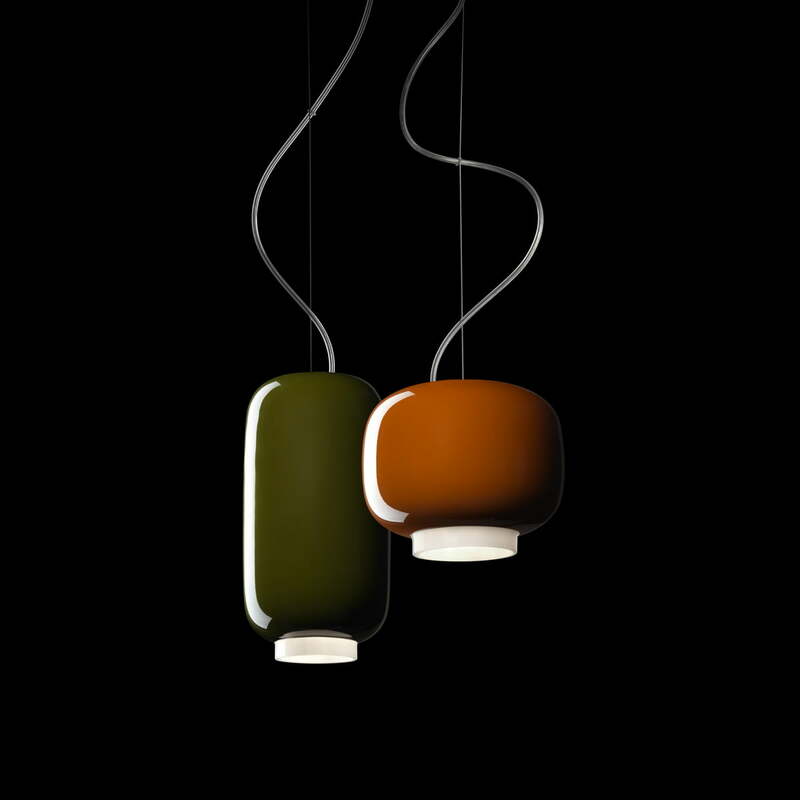 Chouchin Mini can hang alone like a small and poetic floating lantern, or in a linear or vertical composition. It also looks beautiful combined with the bigger Chouchin model, around a table or in an peninsula, illuminated with downwards directed light beams. When creating a group composition, the decentralization kit - multiple canopy is especially useful. 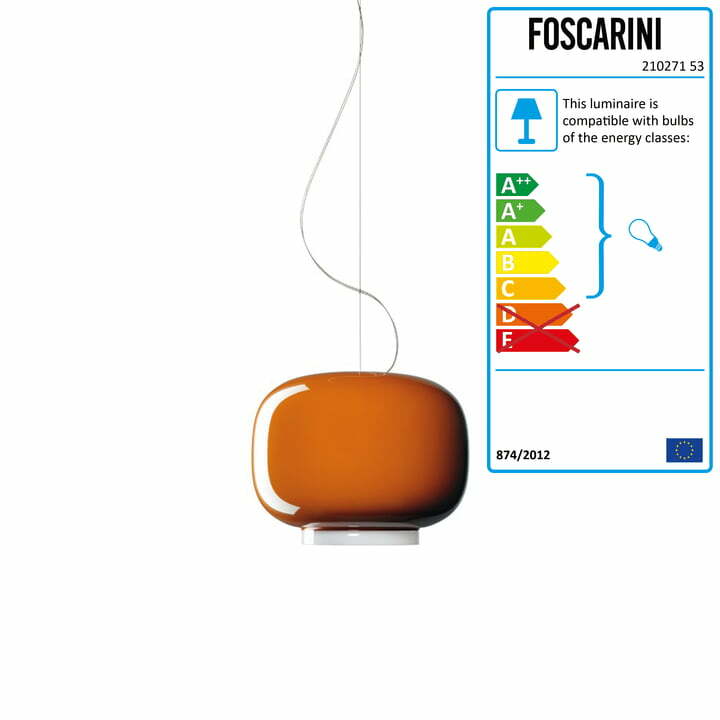 The small size of the Chouchin Mini by Foscarini emphasizes its personality as a sidelight with discreet and precious elegance. The lamps can be equipped with halogen or LED lightbulbs. The latter is especially ideal in public buildings because of the energy efficiency and long duration. 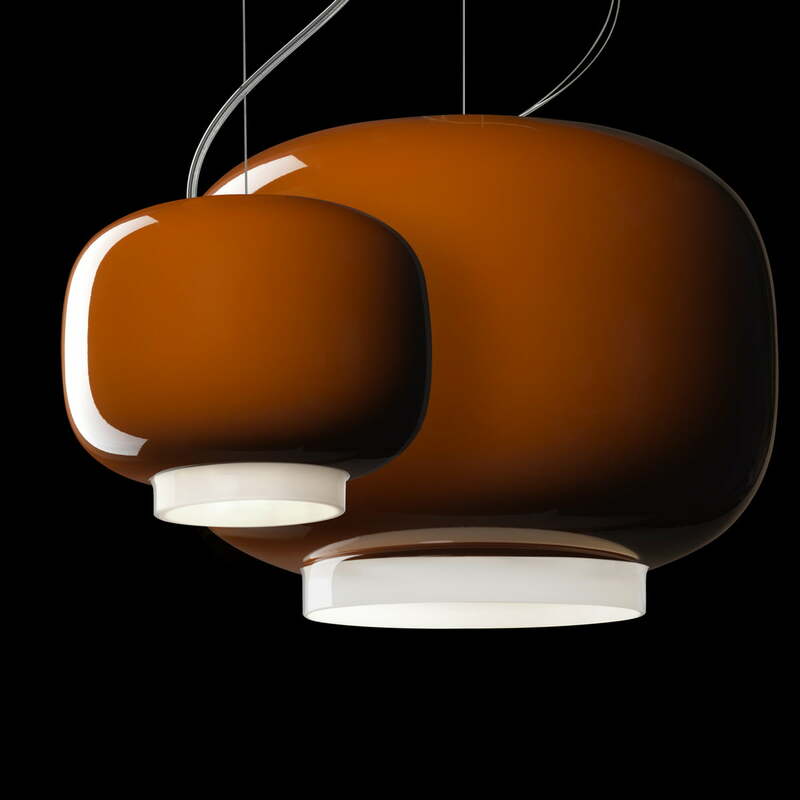 Pendant lamp with direct light. 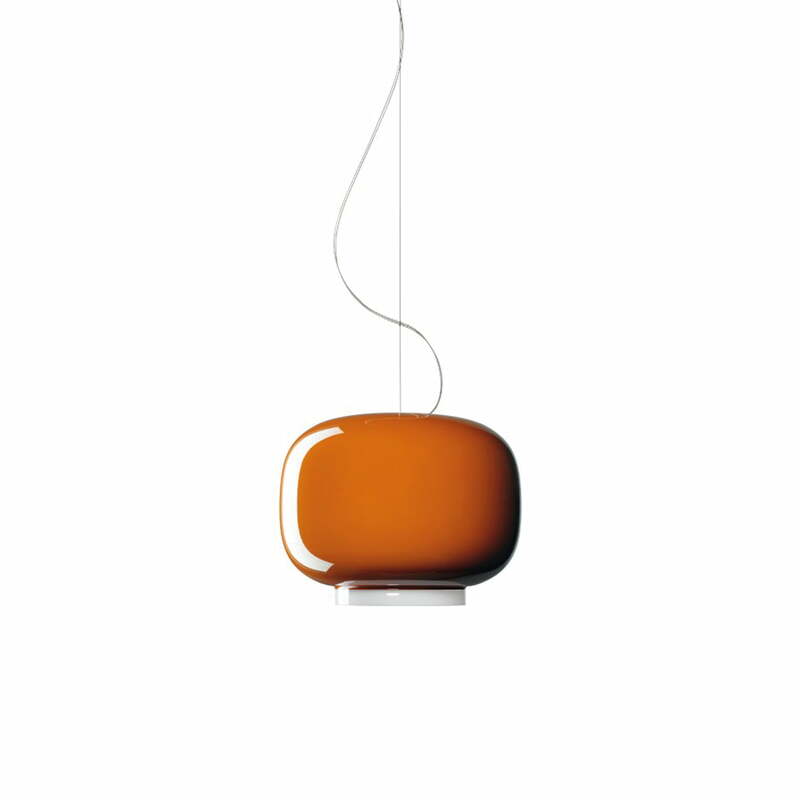 The diffuser consists of hand-blown coated glass and is lacquered with opaque liquid lacquer. The support of the diffuser is made of lacquered metal and stainless steel. The suspension cable is made of stainless steel and a transparent electric cable. A decentralization kit + multiple canopy is optionally available (for up to 9 lamps).